Children are incredible balls of energy, and parents are always looking for ways to entertain them. You may also have found yourself on babysitting duty for nieces or nephews, and finding ways to entertain kids while keeping sane can be a challenge. Plus, no one wants to be the “bad guy” - we just want the tiny tots to love us. 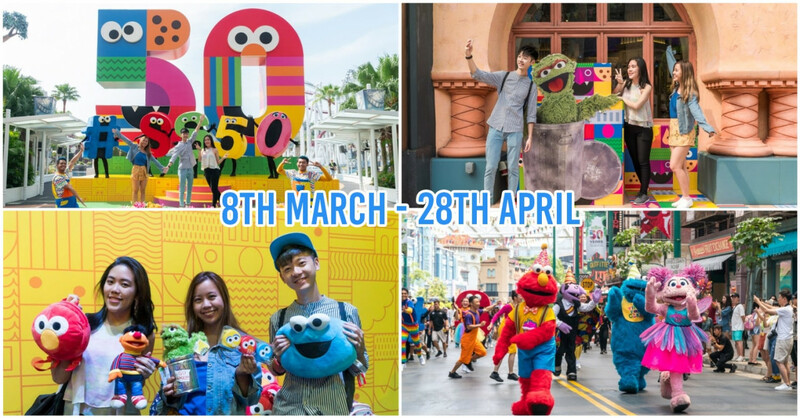 I may not have kids of my own, but I have an extremely excited inner child who can’t wait to come out and play, and together we’ve tracked down some of the most thrilling things for kids to do in Singapore. Here are 9 incredibly fun places you can bring kids that will make them love you so, so much. If you’ve got little daredevils who love taking flying leaps off the bunk bed, this is the place for them to get their adrenaline going. 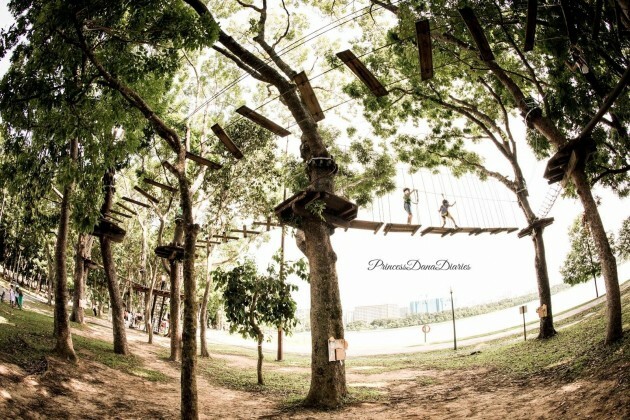 Located at Bedok Reservoir, Forest Adventure is a treetop course that’s absolutely exhilarating. 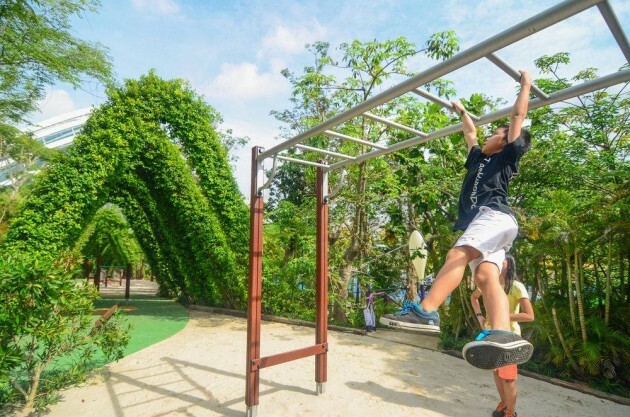 Aside from their main Grand Course, which is great for both adults and gung-ho kids alike, Forest Adventure has two courses specially laid out for the kids. 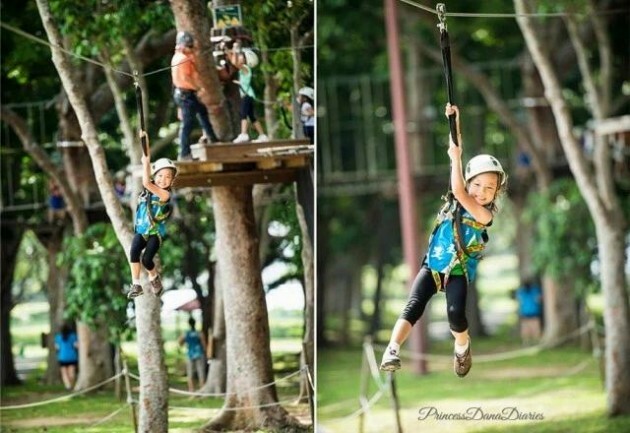 Their Kids Course involves 16 crossings, ranging from suspended planks to rope bridges. The entire course ends off with a thrilling zipline back to the ground. Most of the course is located about 3m off the ground, so if the kids are scared of heights, this will help them overcome their fear. You’re more than welcome to join them up in the trees! 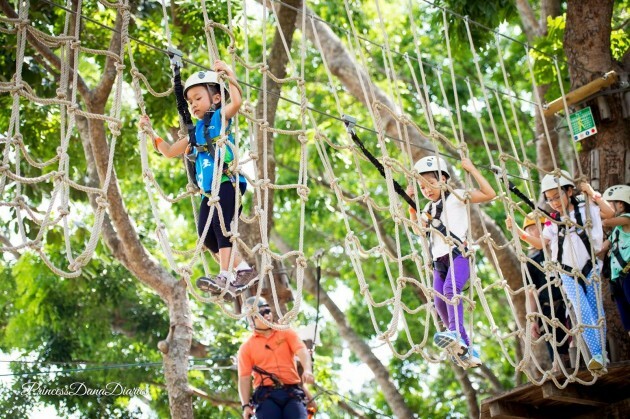 Forest Adventure is the safest way for kids to channel their inner thrillseekers. Everyone who goes through the course has a harness that connects them to a main cable to catch anyone who falls, and for the more advanced courses, a helmet. 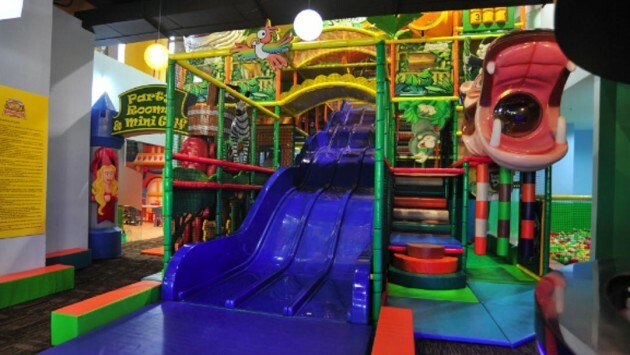 The Kids Course is designed for kids aged 5-10, who are taller than 1.1m. whereas for those who don’t meet the height requirement, they can still have fun up in the trees on the Mini Course. 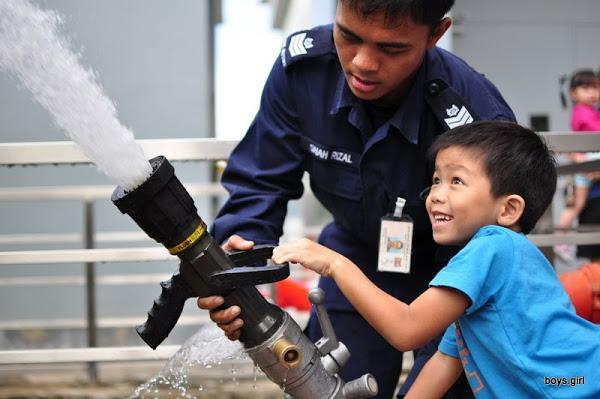 Fun fact: Most fire stations* in Singapore hold open houses every Saturday from 9AM to - 11AM. Kids can watch firefighting demonstrations, don a fireman hat, and even pretend to control a hose to put out an imaginary fire. They can also get behind the wheel of a Red Rhino or an ambulance! Something else that will fascinate the little ones would be the sight of the firemen sliding down firepole - it’s a sight to behold. For a bonus adventure, go to the open house at the Central Fire Station. 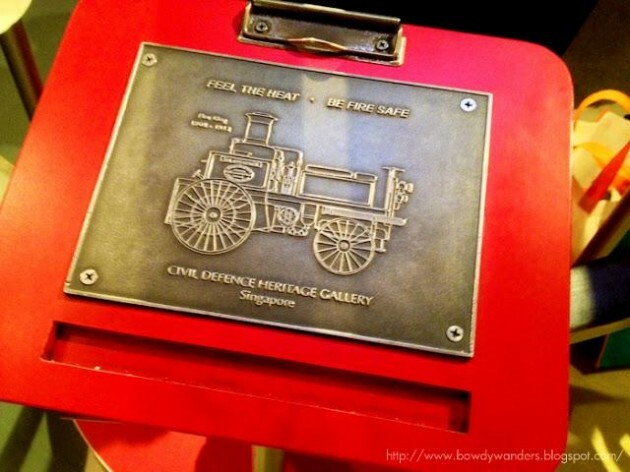 After visiting the open house, pop next door to the Civil Defence Heritage Gallery, where kids can clamber into the fire engines of old and take home beautiful pencil shadings as a memento of a fun Saturday morning. 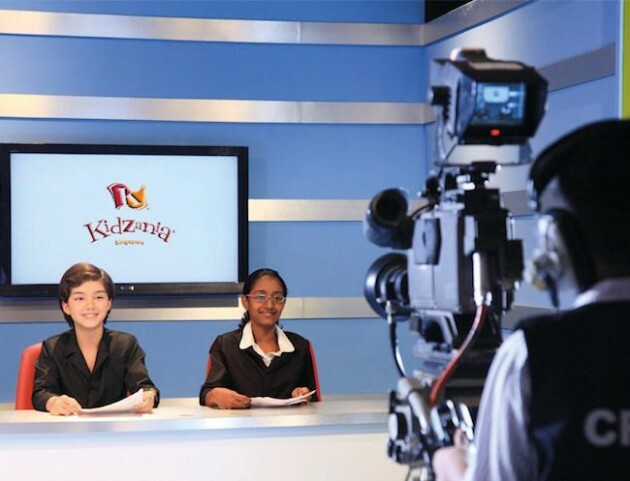 KidZania is an indoor education and entertainment centre, combining role-play with real life to create a kid-centric city. It’s long been said that “play is the work of the child”, and that couldn’t be more true. 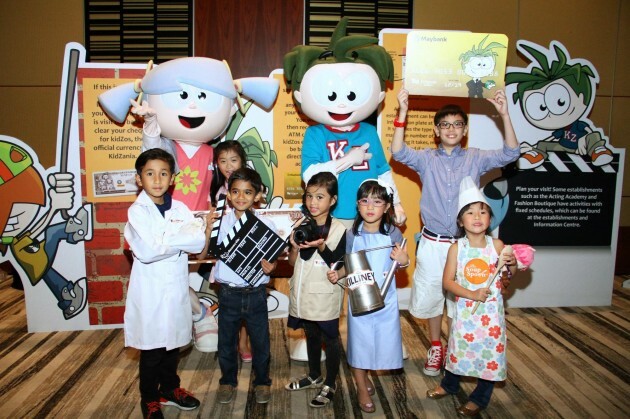 Kids can select specific occupations, such as being a fireman or a baker, and participate in relevant activities in order to earn money, or “kidZos”.These “kidZos” can either be "deposited" into a bank account or used to buy things - it’s an opportunity for kids to play pretend in an almost-real environment. 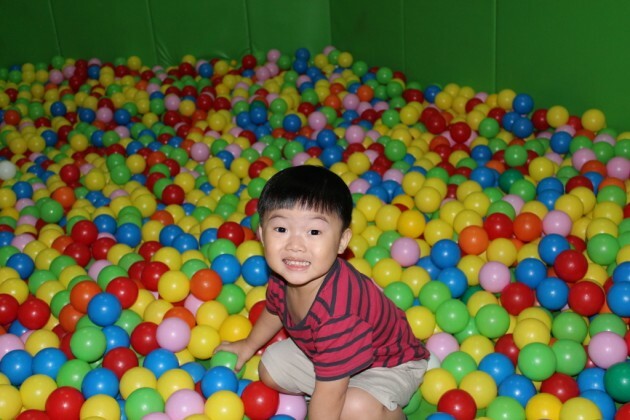 For younger children who aren’t old enough to participate in KidZania, there’s a toddler-friendly zone with ball pits, puppet shows, and bouncy beds that will keep them plenty entertained. Parents and caretakers aren’t allowed into the attractions with their children, but you can watch them have fun and rest in the parents’ lounge. 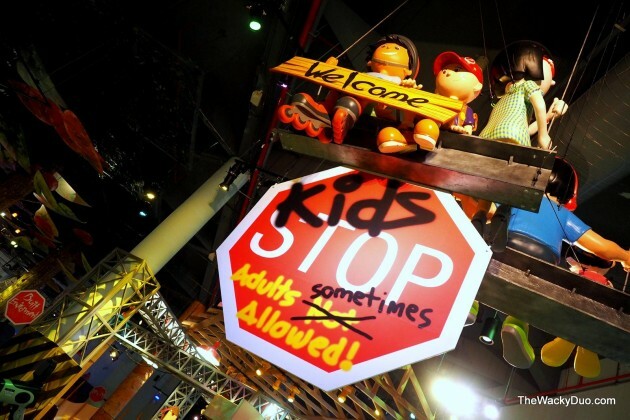 And if your kids are 8 years old or older, you can drop them off at KidZania for a few hours and head off for some peace and quiet while they play. Every child is tagged with a security bracelet, so you can check on their whereabouts within the park at any time. 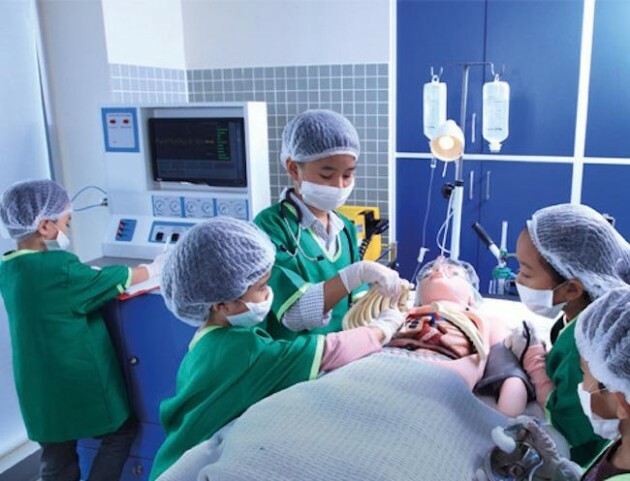 If you have kids who are super into role-play and can’t wait to grow up, bring them down for an afternoon of fun in KidZania. 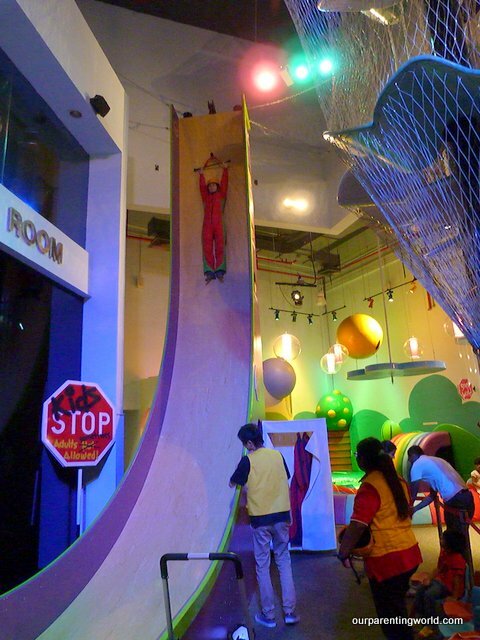 Do you remember the Kids section of the Singapore Science Centre, with all the little hamsters and games for kids? Well, KidsSTOP takes that to a whole new level. There’s no way for me to list out everything kids can do at KidsSTOP, because there are just so many. Split into four zones - Imagine, Experience, Discover, and Dream - this is one place that makes learning about new things a ton of fun. Through a mixture of role-play and hands-on activities, kids learn so much about the world around them. 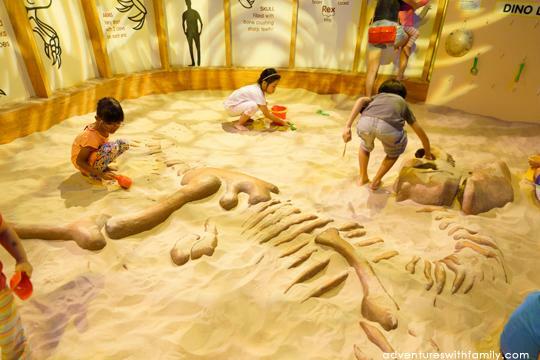 They can try their hand at being Bob The Builder and maneuver a mechanical crane, or channel their love of dinosaurs by digging for dinosaur bones. They could even be a pilot or a supermarket cashier - complete with the opportunity to use a cashier machine, of course. One of the major highlights of KidsSTOP is the Giant J, a thrill ride where you can experience free-fall. Kids hang on to a bar and are raised to a height of either 3m or 7m, before letting go and whooshing down the slope. 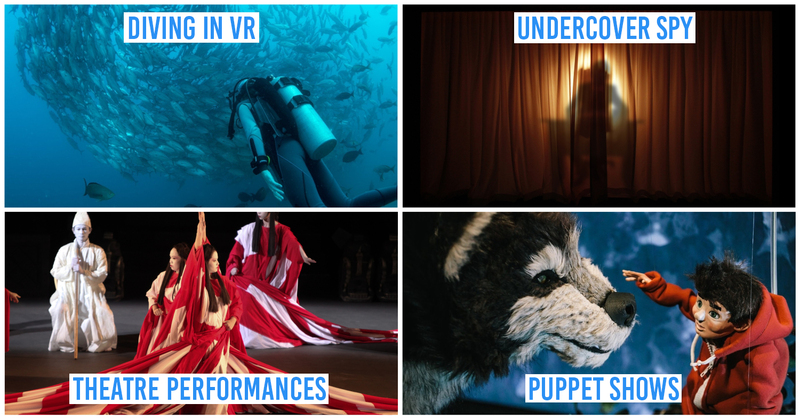 There’s also a mini-zoo of sorts for kids to peer at tiny animals, and even a green screen studio where kids can pretend to be a news anchor, among a slew of other insanely fun activities. I can easily see families burning an entire day in KidsSTOP, for an experience that’s as educational as it is a blast. Price: Free entry for children below 18 mths, children 18 mths - 8 years old: $5 (weekdays), $10 (weekends & public holidays). Now that you’re a proud parent forget about Tanjong Beach Club. The Palawan Pirate Ship is where the fun’s at. 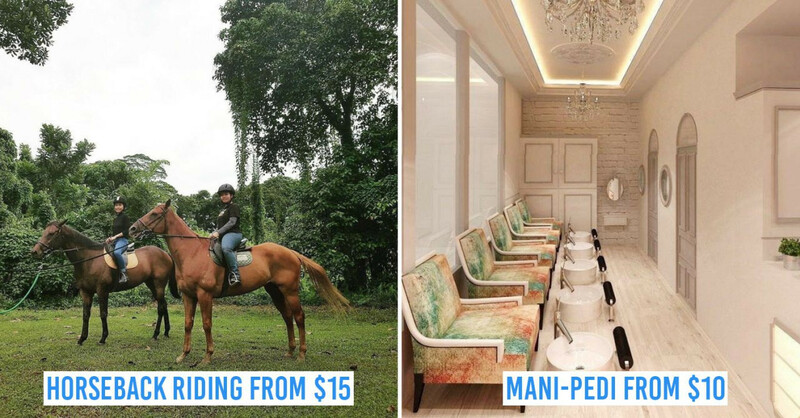 It’s an amazing Kids’ Club that has everything you need for a fun day out on Sentosa, all within the same compound. 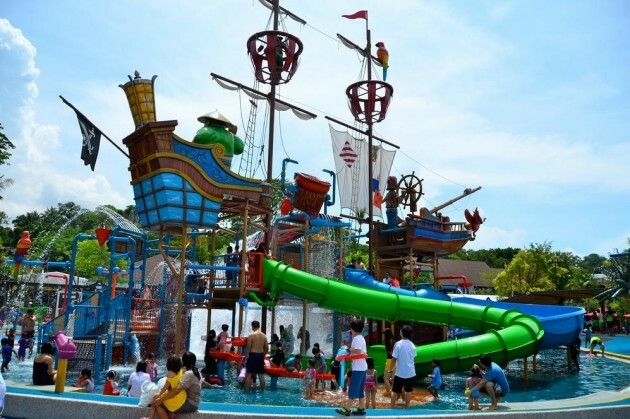 Kids will go crazy for the Pirate Ship, a giant water playground with slides, spray tunnels and water guns. There’s also a giant water barrel that could unleash a torrent of water on unsuspecting children at any moment - definitely a lead up to shrieks of joy. 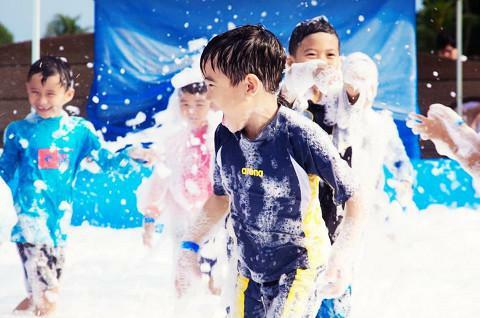 There’s also a Bubble Party, where kids will have the time of their lives frolicking in a sea of foam. Water playground aside, the Palawan Pirate Ship is a place that’s as educational as it is fun. Kids are given ‘Curios’ to use as currency, which they can use to buy activities - a fun way to teach math skills! 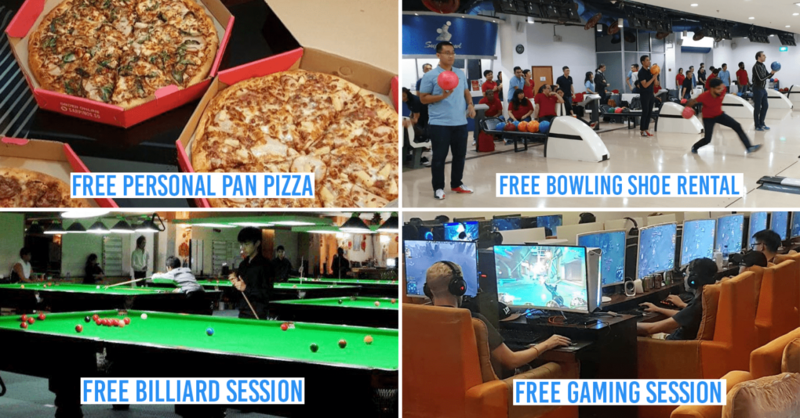 These activities are recorded on their Port Pass, and completing activities lets them reap rewards. With activities that run the gamut from gardening to interacting with a majestic bird, kids will be entertained for hours. 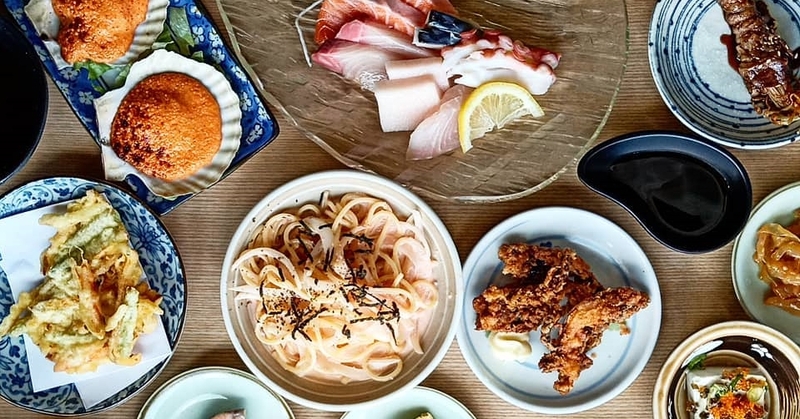 When hunger strikes, head over to their restaurant, Port Belly, which serves up delicious Western fare. 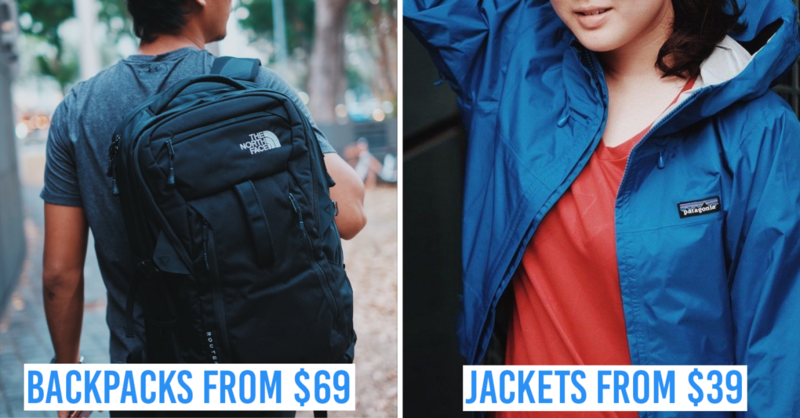 You could also opt for one of their picnic basket sets, and have a scenic picnic with your family. If you’re looking for a way to keep the kids occupied for the entire day, take a trip to the Palawan Pirate Ship. Here in sunny Singapore, nothing beats splashing good fun at a water park. 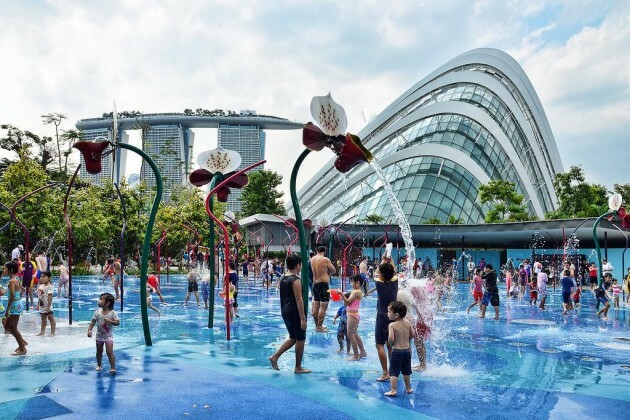 There are a ton of water parks in Singapore - some are located at parks or in malls, but others are an entire attraction unto themselves. 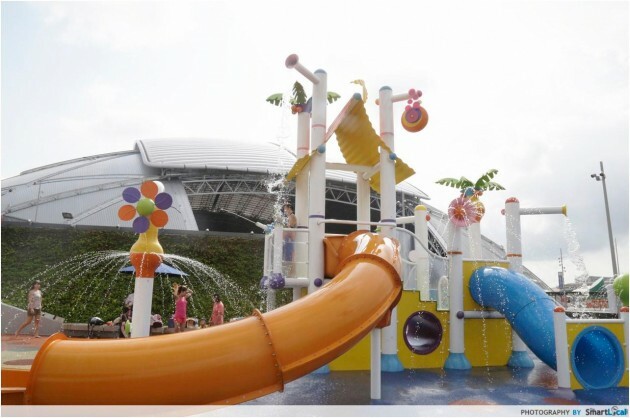 Head down to Kallang Wave and have fun at the Splash-N-Surf Water Play Area & Kids Pool. 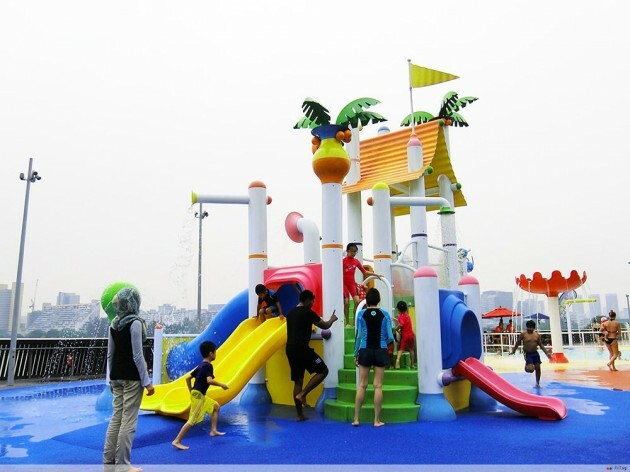 With a whimsical design featuring slides, fountains, and sprinklers, it’s like a typical playground, with the addition of being in a swimming pool. There are even adorable swings for smaller children to sit in, where they can bounce around in the water. When my cousin brought my nephew here, he had such a great time, he cried when it was time to go home and refused to leave. That’s how much fun it is. Entry to the Water Play Area & Kids Pool is free, but for just $2 per person, you can get all-day entry to the Lazy River. Get everyone their own float, and drift down the river in utter serenity after an action-packed day in the pool. Staycations are incredible. They’re a way for you and your family to enjoy the luxury of a hotel, without all the trauma and expense of a plane ride. Flying with kids = potential for a meltdown, and I’m not sure whether I’m referring to parent or child. 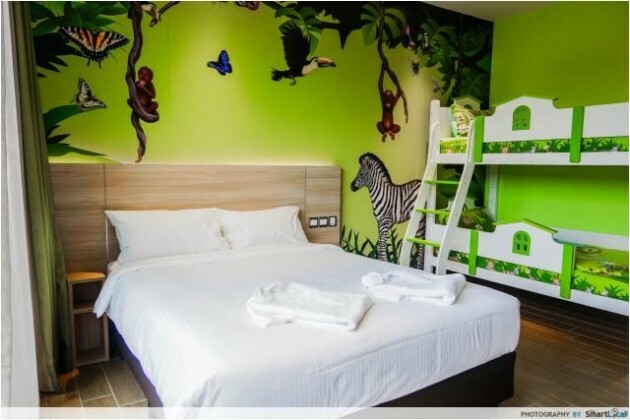 For the aunties and uncles watching over the children while the parents are on a romantic getaway, you can give the kids a holiday experience of their own with a fun staycation. 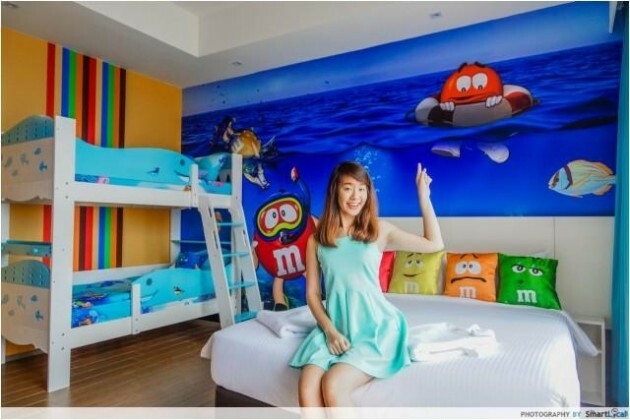 D’Resort, located where Escape Theme Park used to be, is a great place for a family staycation. 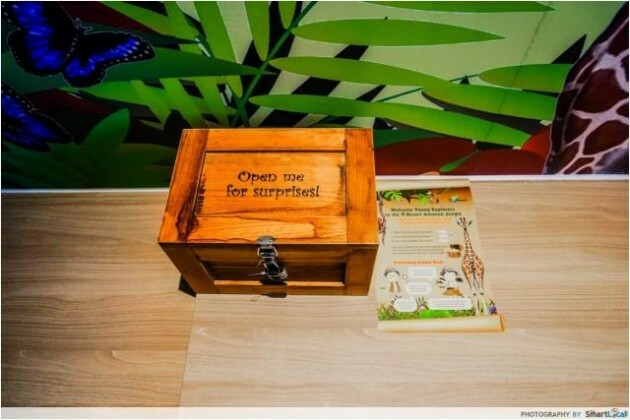 They’ve got special themed family rooms that even the adults will love, as well as a fun in-room game that leads kids to a box full of treasure. 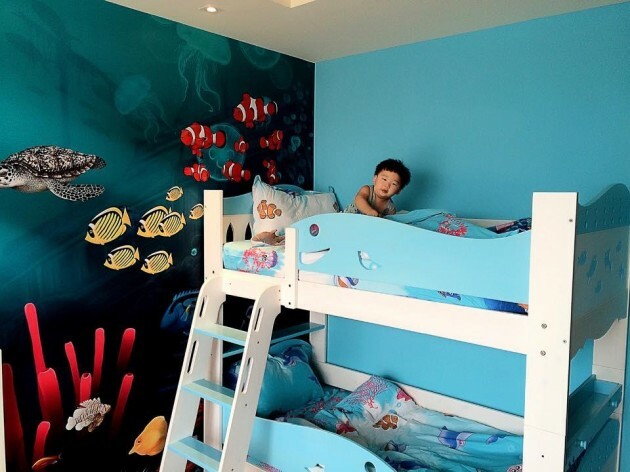 There’s even an underwater-themed room! D’Resort is a great place to get away from the bustle of the city, and it has plenty of amenities for a fun-filled family vacation. Some of my colleagues had a staycation at D’Resort as well - check out our guide to everything you can do while you’re there! 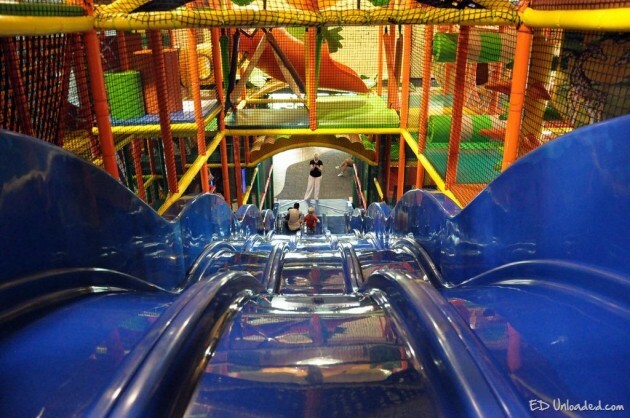 This place is more than just your regular indoor playground. Aside from the much-loved ball pit and the usual network of tubes and suspension bridges, Amazonia’s most exciting feature is their wave slide. The wave slide is 8m high, and it’s positively thrilling. Heck, I’d be willing to babysit my nephew if it means I get a chance to go on the slide. It has all the adrenaline of a roller-coaster, and the kids will be scrambling up just so they can take the slide again and again. It’s tons of fun, and combined with all the running, crawling, and screaming they’ll get up to, they’ll sleep well at night. Aside from the indoor playground, Amazonia also has two other activities that kids would delight in, for one simple reason: they’re glow-in-the-dark. 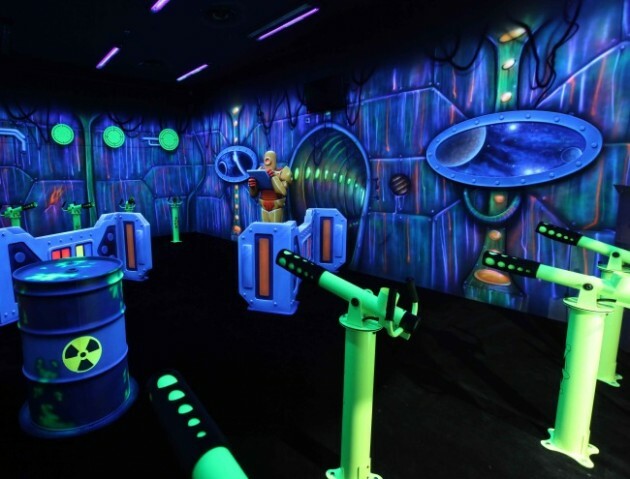 Kids can try their hand at scoring a hole-in-one in a game of luminescent mini-golf, or channel their inner snipers by shooting with guns and targets that glow. For the younger ones, Amazonia has a designated toddler play area that’s fully padded, and a scaled-down version of the main playground, complete with a musical piano. And for Mom & Dad, there’s a bistro with comfy chairs that overlooks the main play area, so you can sit back and keep an eye on the kids without having to clamber through tunnels for them. 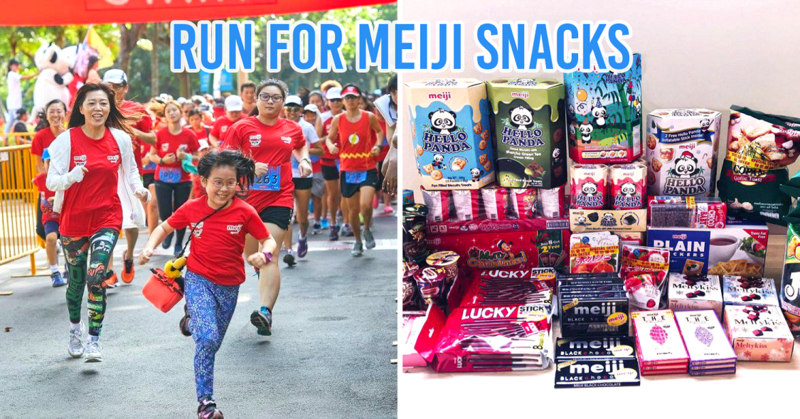 Address: Great World City Mall, #03-08, 1 Kim Seng Promenade, Singapore 237994. Children love exploration and the great outdoors, so what better place to bring them to than parks designed specially for them? Jacob Ballas Children’s Garden, located in the vicinity of Botanic Gardens, is a great place for little ones to get in touch in nature. There are herbs to sniff, plants to prod at, and even an area with interactive exhibits for kids to learn about photosynthesis. Exploring the park is tons of fun. 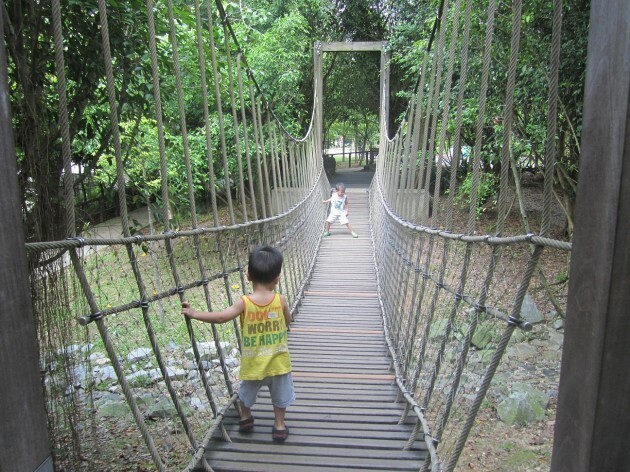 Walk across a wobbly suspension bridge, or let your kids run wild at the treehouse. There’s also a hedge maze that’s great for helping kids hone their problem-solving skills, though you may encounter tears if the little ones can’t find the way out. There's also a simple water play area. Nothing extravagant, but your kids will have fun! 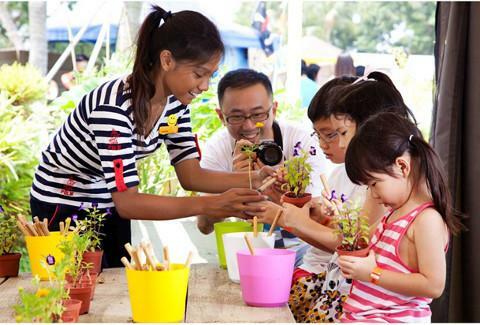 You could also head over to the Children’s Garden at Gardens By The Bay. It’s a similar concept to Jacob Ballas, and can be split into three parts. 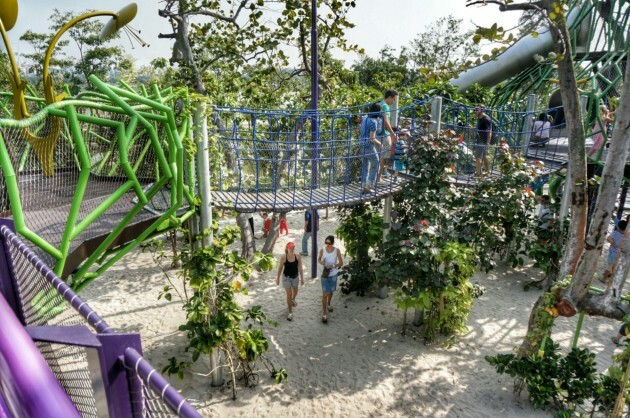 The first part is the Adventure Trail, with balancing beams, spider webs and huge slides. This is followed by their Treehouse, which, along with more slides, offers plenty of opportunities for little monkeys to climb and play. The last area of the Children’s Garden is their water play area, and it’s a great way to end your time at the park. After getting all sweaty, kids can run through streams of water that actually react to their movements! These parks are filled with activities for kids of all ages, making immersing your family in nature 100% fun. Whether you’re dealing with an adventurous child who wants to explore everything, or a quieter kid who just wants time to have fun on his own, all these places are great fun and wonderful. 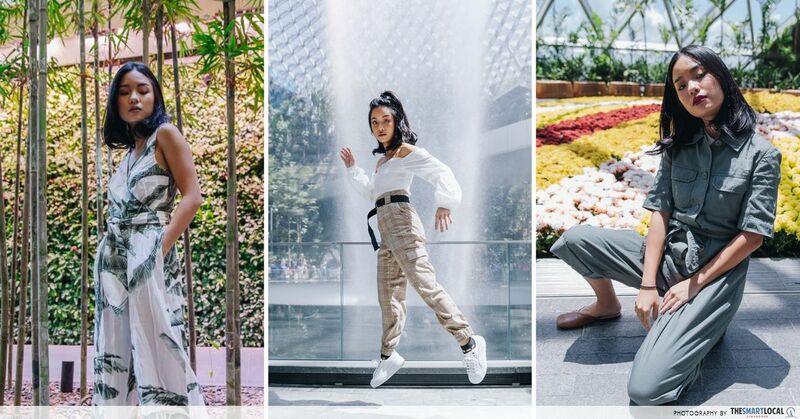 Be it running through jets of water at Gardens by the Bay, or taking endless selfies in adorable costumes, my inner child wants to visit all of these amazing places. I’m sure any kid would have a blast as well. Above all though, it doesn’t really matter if you go to fancy playgrounds or stay at swanky hotels. So long as you just spend time with your family and show the kids that you love them, they’ll have lasting memories they’ll carry with them all their lives. This post is brought to you by iSnap.